Outlets are a point of difference for your bathroom. At Bathroom Tech we ensure our outlets deliver the perfect temperature and flow. Outlets Please click on images to view our full range. 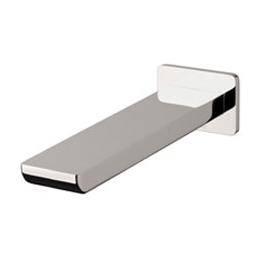 Bath Spouts make a luxurious addition to any bathroom. Bringing you the best in contemporary design, our range of bath spouts have been intensely focused on the exceptional quality and originality. Floor outlets are a point of difference in your bathroom. We ensure all our outlets are designed to deliver the perfect temperature and flow rate. Basin Outlets are a point of difference for any bathroom. We ensure our outlets are designed to deliver the perfect temperature and flow. When you are looking to add that little bit extra to your kitchen design there is sure to be something that suits you from our extensive wall sink outlet range.